The final day of the Food in Fiction blog event includes ginger nut biscuits and Fezariu Dream cupcakes. The penultimate day of the Food in Fiction blog event features Raspberry Cranachan and Baklava. Day 20 of Food in Fiction begins the final week of the 2015 blog event and includes chocolate cake and pflugberry pie. 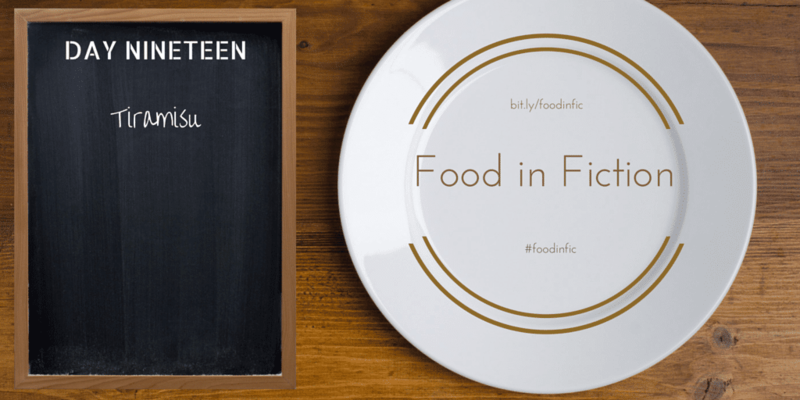 Day 19 of the Food in Fiction blog event features classic dessert dish Tiramisu. Celebrate Day 18 of the Food in Fiction blog even with Meecham cookies! Day 17 of Food in Fiction is celebrated with crème brûlée and chocolate chip cookies.